Michael Kors is a Fossil Group-owned fashion brand that makes some of the most elegant, “normal”-looking Wear OS smartwatches you can buy in the US. Typically, you’d need to spend around $350 on a classy black or silver Michael Kors Access Grayson model, but with the recent CES introduction of the upgraded Sofie 2.0, hefty discounts on the 2017 collection felt inevitable. Then again, we have to admit we didn’t expect Best Buy to offer deals quite so good and quite so fast. The two aforementioned variants of the Android and iOS-compatible Michael Kors Access Grayson are available for $139.99 apiece today (and only today) as part of a clearance sale suggesting stocks might be limited. 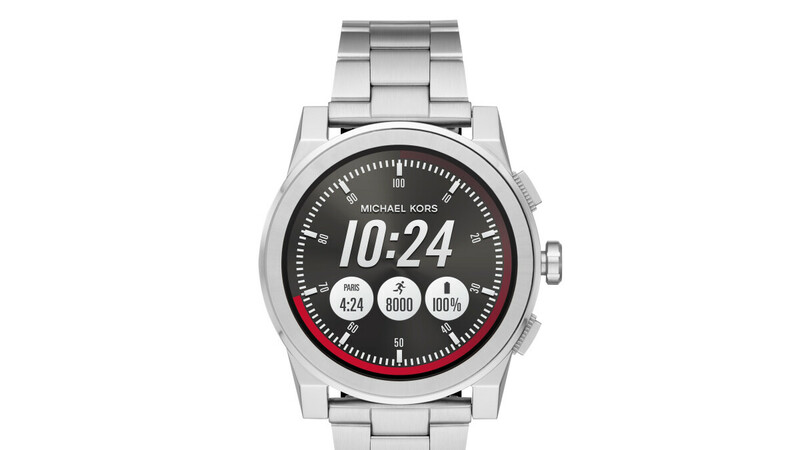 The silver and black Grayson are marked down on the official Michael Kors website as well, but they still fetch $249 each after a smaller $100 or so discount. Before pulling the trigger, it’s important to know this is by no means the world’s most feature-packed wearable device. Cellular connectivity is not the lone major feature missing, as the Michael Kors Access Grayson duo also comes without built-in GPS support, NFC for wrist payments, or heart rate monitoring. But if you feel style trumps features, you’re going to have a hard time finding a similarly handsome smartwatch at such an incredibly competitive price tag. The large 47 mm case is made from robust stainless steel, and if you don’t like the matching stainless steel bracelet, replacing it is extremely easy. Meanwhile, a high-quality AMOLED display guarantees “dazzling clarity” for various notifications from a compatible smartphone, including text and email alerts, as well as social media updates. The smartwatch is also water-resistant and covered by a 24-month manufacturer warranty, while promising “up to 24 hours” of battery life... in certain conditions.